Selected excerpts from UN IPCC scientist’s recent testimony. IPCC reviewer and climate researcher and chemist Dr. Vincent Gray of New Zealand is an expert reviewer on every single draft of the IPCC reports going back to 1990 and author of The Greenhouse Delusion: A Critique of “Climate Change 2001. Dr. Gray’s research is featured on page 155 of the 2009 edition of the 255-page “U.S. Senate Minority Report Update: More Than 700 International Scientists Dissent Over Man-Made Global Warming Claims” Below are selected excerpts of his testimony before New Zealand’s Committee for the Emissions Trading Scheme Review May 5, 2009: I am an experienced research chemist, with a PhD from Cambridge 1946, and a long research career in the UK, France, Canada, New Zealand and China. I have over 100 scientific publications, many of them on climate science, which I have studied intensively for the past 18 years. I have been an Expert Reviewer for the IPCC Reports since the beginning in 1990.I submitted 1,898 comments to the last (fourth) Working Group I (Science) Report. I was recently invited to the Beijing Climate Center as a Visiting Scholar and I recently lectured to a Conference in New York. 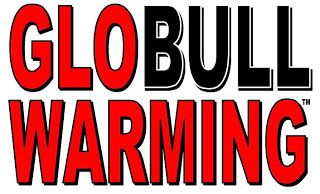 I have reluctantly concluded, after detailed study of the evidence presented by the IPCC, that there are no convincing scientific arguments to support the claim that increases in greenhouse gases are harmful to the climate. […] The IPCC “central/benchmark projections” are based on a combination pf ridiculously oversimplified models and unrealistic futures scenarios. The projections themselves conflict with the current fall in global temperatures, the absence of any warming in New Zealand, and the lack of local evidence of sea level change. […] The presumed dangers of failing to implement the Emissions Trading Scheme appear to be illusory. We have enough problems coping with the current economic crisis without burdening ourselves with additional costs to our manufacturing and farming industries and adopting uneconomic sources of energy. […] Changes in climate can have many causes, some of which are partially understood, but the influence of increases in greenhouse gases are not likely to be important if there is no detectable warming resulting from them. […] In reality the sun only shines in the daytime. The earth absorbs energy by day and emits it by night. It rotates, so that all surfaces have a diurnal and seasonal cycle. There is no energy balance anywhere, and no net energy balance either, as there are warming and cooling cycles of different lengths. Also none of the greenhouse gases are “well-mixed”, so the assumption by models that they are is wrong. […] The first IPCC Working Group I Report “Climate Change”, published in 1990, provided the first set of climate models, from which the Panel made predictions about future global temperature change. It contained a Chapter 4 entitled “Validation of Climate Models”. A similar Chapter appeared in the First Draft of the Second (1995) Report. I sent in a comment pointing out that the Title of this Chapter was inappropriate, since no Climate Model had ever been “validated” in the sense understood by computer engineers. They agreed with me. The same Chapter in the next Draft was entitled “Evaluation of Computer Models”, and they had changed the word “validation” to “evaluation” throughout the Chapter no less than fifty times. Since then, they have never used the word “validation”, and their models now never make “predictions”, but “projections”, dependent only on the prior assumptions. “Validation” is a term used by computer engineers for the procedure that has to be applied to computer models before they can be considered useful for future prediction. This procedure must involve successful prediction of the range of circumstances for which it is to be used. Unless this is done there is no evidence of how accurate the predictions can be. Previous Previous post: Irony Alert: Eco-sailors rescued by oil tanker!